Want to add a fresh and different flavor to your salad? Arugula can be used as an easy garnish, replacement for lettuce in any sandwich, or the base for any salad. 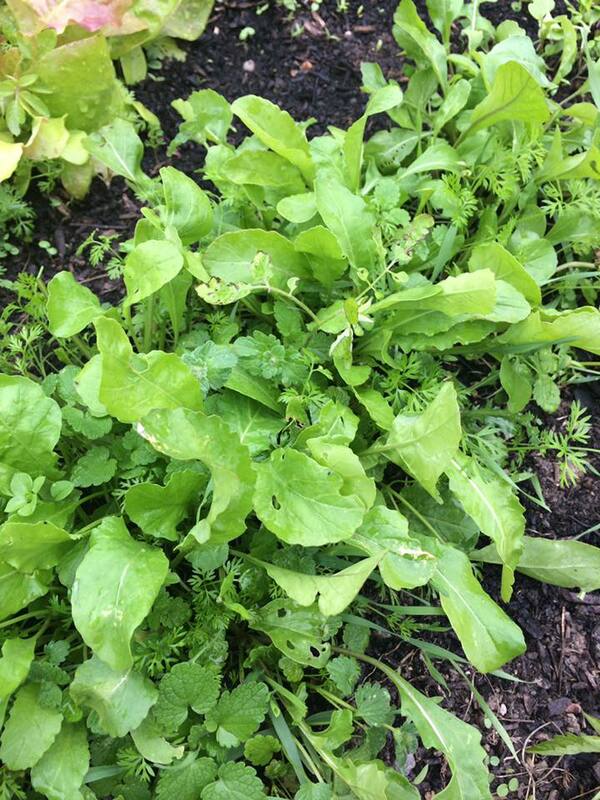 Fresh arugula is buttery, but also has a peppery flavor. They have a look and texture similar to spinach. Arugula salad with tomato and avocado is quick, easy, and healthy. This is a great salad that can be put together quickly, have anything added to it, and be a nice change from a traditional Caesar or chef salad. You could even take this recipe and put it inside a bacon sandwich as a different take on a BLT. I grew the arugula myself in the Fenton Community Garden as part of my internship. · 2 cups or a large handful of fresh arugula. · 1 ½ cups of chopped romaine lettuce. · 1 avocado peeled and cubed. · 1 medium tomato cubed. · ¼ cup shredded parmesan. 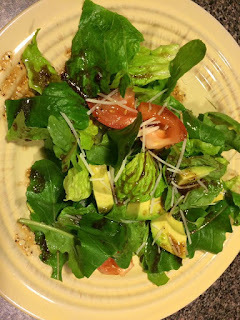 · 1/3 cup of balsamic vinaigrette, fresh or store bought. · Slice and cube the lettuce, tomato, and avocado. · Toss the salad with parmesan cheese in a large bowl. · Either drizzle with vinaigrette or serve on the side. Your salad should be cool, crisp, and refreshing. If you are going to store the salad in the refrigerator for more than a half hour, cut the avocado and mix in the dressing right before serving it to avoid brown avocados and wilted greens. Any kind of cheese can be added to this or you can add dried cranberries and walnuts for a more crunchy and chewy texture. 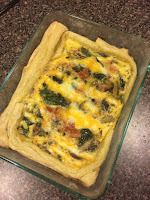 This would be a great side for the mushroom and spinach quiche, see that recipe here. · In a bowl or Mason jar, mix together a ¼ cup of balsamic vinegar, ¾ cup of Extra Virgin Olive Oil, ½ teaspoon of salt, pepper, and thyme plus 1 teaspoon of sugar. · Shake well when ready to use. · Use the mason jar as easy storage. Our cistern was drained this week and we were given notice to clear out all our summer produce plants by November 1. What a shame we have to be bound by arbitrary calendar dates at our community garden as my remaining plants are still going strong and it will be very mild (in the mid '70s) still next week. The frost/freeze that hit the area last Monday night skipped us and so I balk at pulling perfectly good plants out before need be. I have many cool season things going on that should be fine through mid-winter. We cut out first good crop of Arugula (see recipe this Sunday on this blog) and the lettuce is ready soon too. In a few weeks, we'll pull our carrots and radishes. I'll follow the rules though and make this the last Fenton Friday of the year since we will soon see a real frost and then everything else will be put to bed under a layer of straw and pine needles-- the asparagus, calendula, strawberry, and garlic -- will be there when I start the Friday plot postings back here next March/April. I hope you will join me once again and that your winter is a mild one. On a side note, the student documentary filmed at the Fenton Garden back in July is completed and will be screened at the AFI Silver theater on November 9. If it gets put online afterwards, I'll be sure to post a link here as well. The fifth annual Trees Matter Symposium focused on the health and welfare of trees in our increasingly developed landscapes. Learn from some of the country’s leading experts about innovative efforts to plant, protect and preserve trees in urban and suburban settings. It took place on Wednesday, October 19, 2016, at the Silver Spring Civic Center, Silver Spring, MD. For our October 2016 Washington Gardener Magazine Reader Contest, Washington Gardener is giving away a one-year national membership to the American Horticultural Society (http://ahs.org). The American Horticultural Society (AHS) is a nonprofit, 501(c)(3) membership organization that recognizes and promotes excellence in American horticulture. AHS is known for its educational programs and the dissemination of horticultural information. Members enjoy a seed exchange, free access to over 300 public gardens, The American Gardener magazine, and more. It is one of the oldest and most prestigious gardening organizations in the United States. Its mission is to educate and inspire people of all ages to become successful and environmentally responsible gardeners by advancing the art and science of horticulture. The AHS headquarters is at River Farm, one of George Washington’s original five farms, in Alexandria, VA. River Farm is 25 acres on the Potomac River, containing beautiful gardens as well as a wide variety of wildlife. However, River Farm is much more than a beautiful landscape—it serves as the Society’s showcase for its national programs and policies. To enter to win the AHS membership, send an email to WashingtonGardener@rcn.com by 5pm on Monday, October 31, with “AHS” in the subject line. In the body of the email tell us which was your favorite article in the October 2016 issue of Washington Gardener Magazine and why. Please also include your full name and mailing address. The winner will be announced on November 1. The winner, chosen at random, from the submitted entries, is Michelle de Carlo of Northern VA. Congratulations, Michelle! Got any late ripening tomatoes that just won’t turn red before the cold weather sets in? No, we are not going to make fried green tomatoes, but we are making Green Tomato and Corn Soup. This soup is a spicy, healthy, and comforting alternative way to use up your leftover tomatoes. Any variety of tomatoes can be used for this recipe. 'Sun Gold’ yellow cherry tomaties are small and sweet and a couple of meatier 'Beef Steak' tomatoes can help make a bigger serving size and more robust flavor. This recipe was inspired by one at allrecipes.com. · 1 medium onion chopped. · 1 large clove of garlic minced. 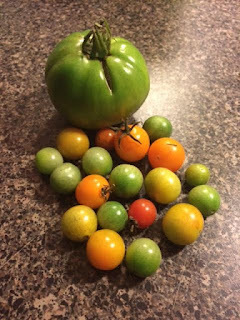 · 1 large green tomato cubed or 1 cup of quartered green 'Sun Gold' tomatoes. · 1 cup of whole kennel corn. 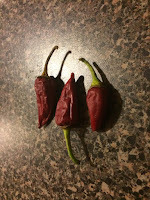 · 1 small 'Fish' pepper minced (other hot pepper varieties may be used). · 1 tsp. of chili powder. · 7 cups of vegetable stock. · 1 tbsp. of butter or oil. · Pinch of Herbes de Provence. · In a medium pot, sauté the onion and garlic in the oil on medium heat until soft. · Add the tomatoes, corn, chili powder, Herbes de Provence, hot pepper, and simmer for 5 minutes. · Add your stock, salt, and black pepper to taste. Simmer until the tomatoes are soft and everything is cooked through. The soup should leave you nice and warm inside. It can be served with a cool salad and a nice crusty bread. 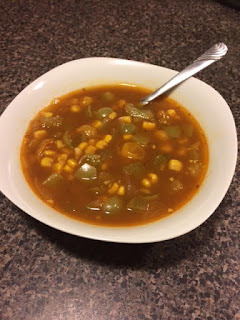 This is an easy enough soup that can be made on the stove top or crock pot. Also, this a versatile base for chili or by adding some crab meat and Old Bay seasoning you can make Maryland Crab soup. Green tomatoes should never be wasted because they haven’t ripened yet. Don’t be afraid to experiment and try new things. I was clearing out some unruly tomato vines from my community garden plot this week, when I looked down and saw a small Ground Cherry (Physalis spp.) plant had self-sown among them. It had several fruits on it and even a few that were already ripe and on the ground (hence their common name). I gave them to the intern to try and they both exclaimed over how very deceptively sweet they are -- they are the best kept secret of the edible garden, in my opinion. Animals and other humans ignore them. They take zero maintenance. They grow literally like the native weeds that they are... and they taste like candy. Who can find fault in that? 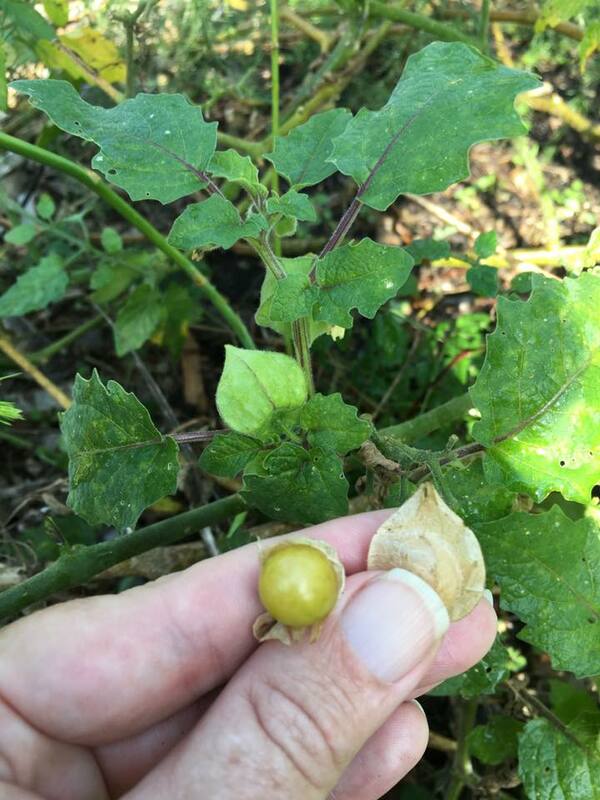 By the way, you can find out all about sourcing and growing Ground Cherries in our September 2014 back issue of Washington Gardener Magazine posted here. The October 2016 issue of Washington Gardener Magazine is now out. Note that any submissions, event listings, and advertisements for the November 2016 issue are due by November 10. Beginner and intermediate gardeners are often overwhelmed by the long spring to-do lists of garden tasks. Learn what chores are essential and which can you safely skip as you prepare your garden for winter. Discover cost-saving tips and tricks and how to “batten down the hatches” in case we have a really bad winter. Held at Brookside Gardens, Wheaton, MD. Fee: $22. Register at https://apm.activecommunities.com/montgomerycounty/Activity_Search/batten-down-the-hatches-winter-garden-prep/18440. There are many edible plants that grow best in cooler weather.Try your hand at growing them and enjoy the “fruits” - or veggies - of your labor during the winter months. 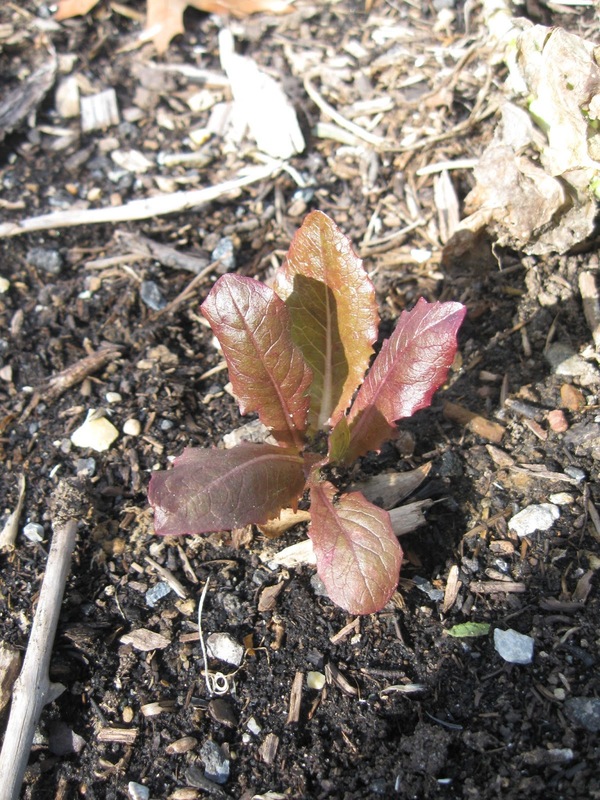 We’ll cover techniques for lengthening the growing season and what edible plants do best in our Mid-Atlantic climate. Held at Brookside Gardens, Wheaton, MD. Fee: $22. Register at https://apm.activecommunities.com/montgomerycounty/Activity_Search/conquering-cool-season-edibles/18463. A perfect recipe for Sunday brunch is quiche—it’s warm and comforting. Quiche can be filled with anything. The fillings can be made in advance and can be both vegetarian and for meat lovers. To give this recipe a little heat, I adding a bit of chopped 'Fish' Peppers from the Washington Gardener Magazines community garden plot. 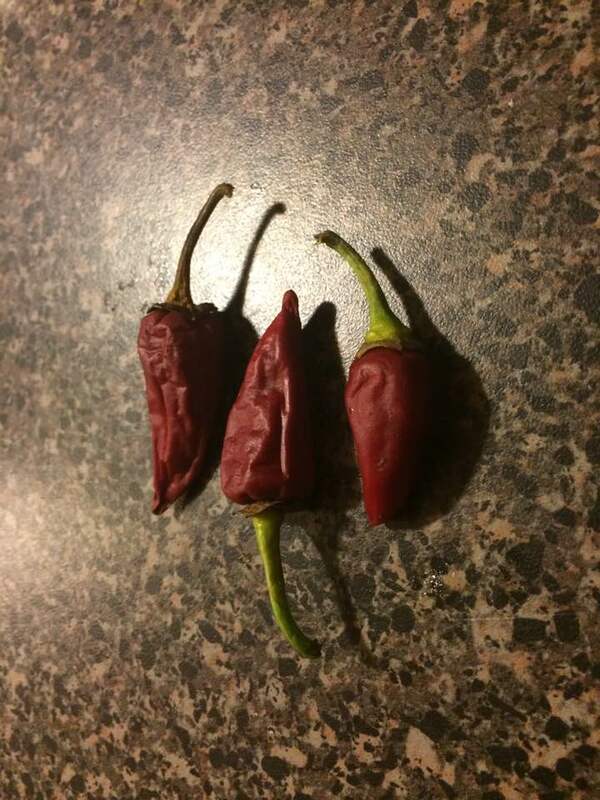 These peppers are small and the darker the red color, the hotter they are. Adding a subtle heat to your recipes expands the flavor and can give the dish a whole different profile. This recipe was inspired by Chef John from www.foodwishes.blogspot.com. You can check out his YouTube channel at Food Wishes. 4 large button mushrooms sliced. 1 cup of fresh spinach. 1 'Fish' pepper minced (or other hot variety). ½ cup of diced, cooked bacon. Blind bake your pre-made or home-made pie crust by baking it ¾ of the way until its not quite turning light brown. When done, let cool, but keep the oven on. In a medium pan, sweat the onions and mushrooms on medium heat until soft. Reduce heat and sweat your spinach until soft. Add half of your salt and pepper. Turn off heat and mix in your chopped 'Fish' pepper. Beat your eggs, milk, herbs, and the rest of your salt and pepper in a separate bowl. Layer 2/3 of your vegetables, 1/3 bacon, and 2/3 cheese in your crust evenly. Pour in your egg mixture until it just covers your first layer. Layer the rest of your veggies, bacon, and cheese, then pour over the rest of egg mixture to just cover your last layer. Don’t let the egg mixture go over your crust. Bake for 30-35 minutes until it is just set. Shake your pan gently. It should just slightly wiggle in the middle. Let the quiche cool a bit and serve when it’s warm. This can be served with a side of toast for breakfast or a fresh salad for lunch. Adding the peppers gives it just the kick it needs. 'Fish' peppers can be added to anything, really, like broths, soups, or stews. You can even preserve them by letting them dry in the sun or store them in olive oil. I hope this recipe will leave you full and ready for a Sunday nap. Enjoy! Toad Lily (Trycrytis): You Can Grow That!